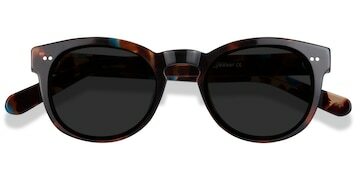 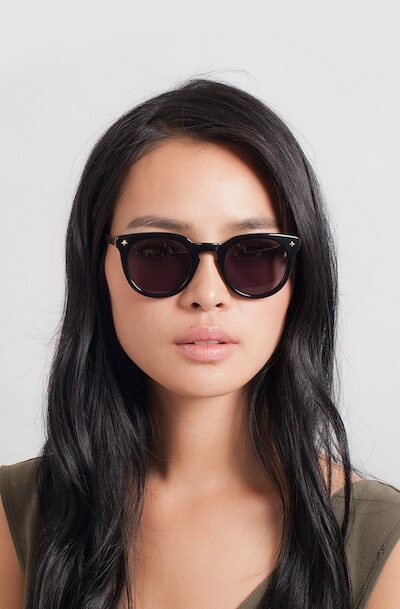 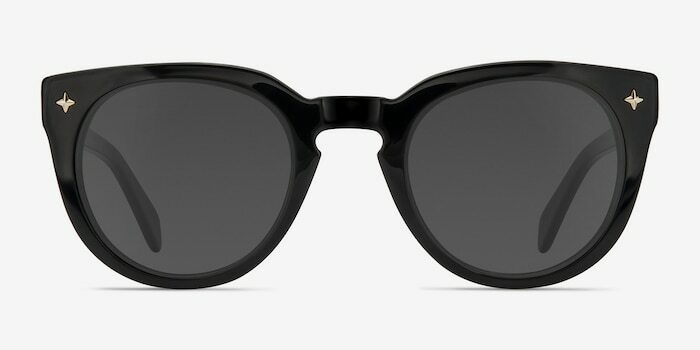 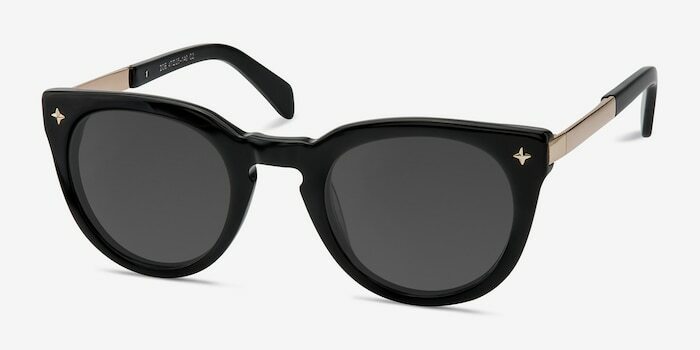 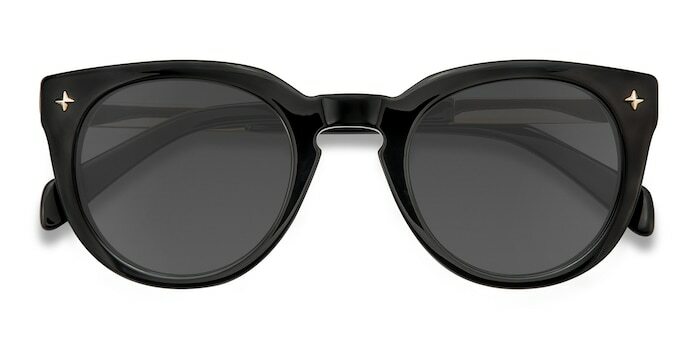 Shed the norm with these black sunglasses. 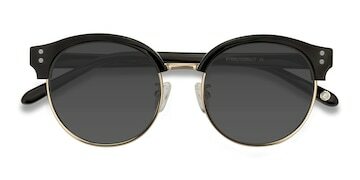 The full plastic black frame front is paired with shiny gold metal for a fashion-forward style. 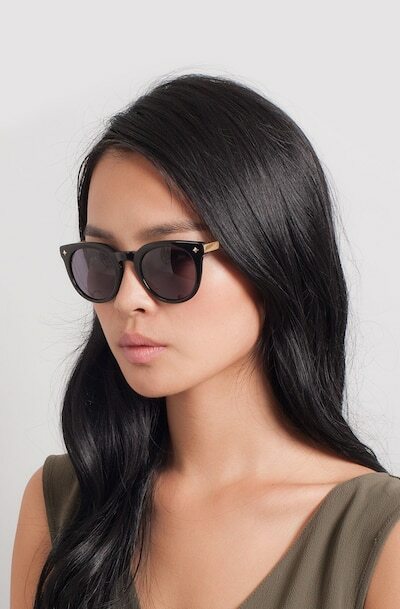 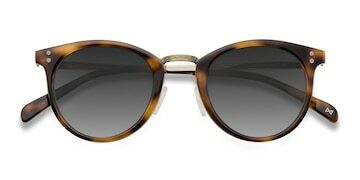 Perfectly rounded lenses, vintage keyhole nose bridge, and gold frame corner accent add the finishing touches. 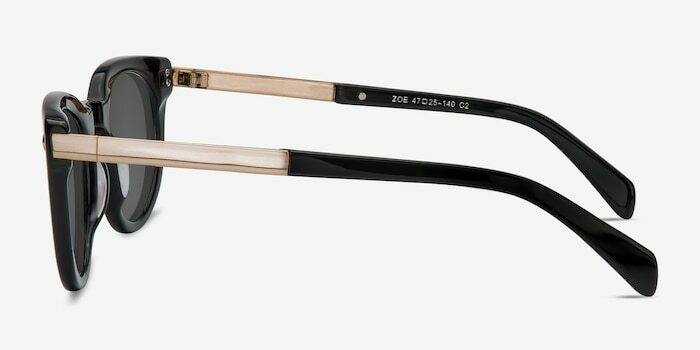 Matching plastic arm tips create a stylish yet comfortable look.